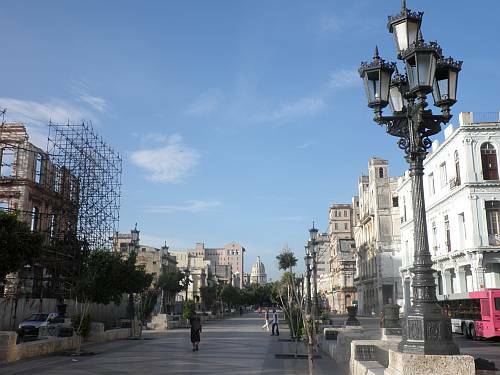 The street outside Graeme Greene’s Hotel Sevilla is quiet, but as the dramatic Prado opens up beyond, suddenly the sheer scale of this paradox strikes me: Havana is truly a world city. 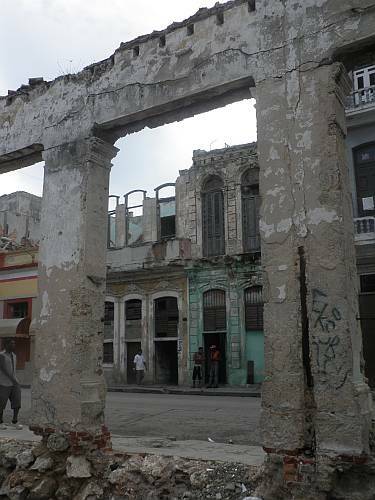 Columbus sighted Cuba in 1492 and landed here two years later. The island has been a prize for empires ever since. 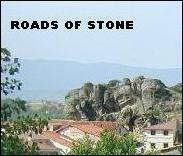 Spanish, British and American armies all fought for this land. 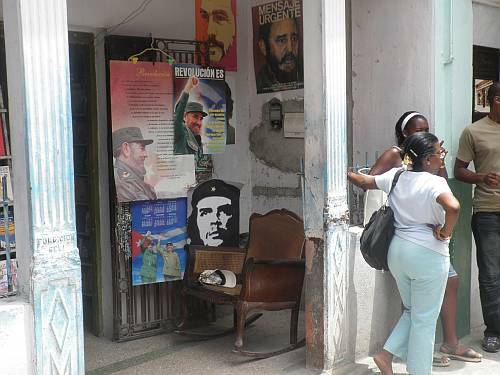 Cuba’s history and her population embrace that diversity. 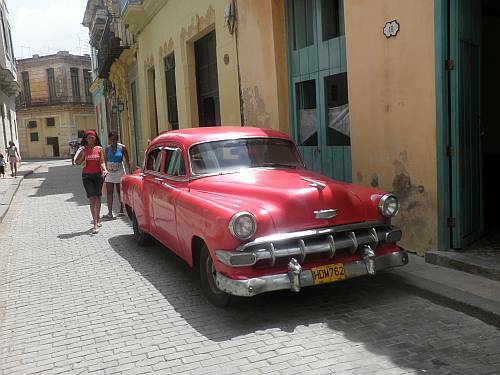 Cubans of every shade and colour fill the streets. And whether descended from white Europeans, African slaves or indigenous peoples, they’re all simply Cubans. 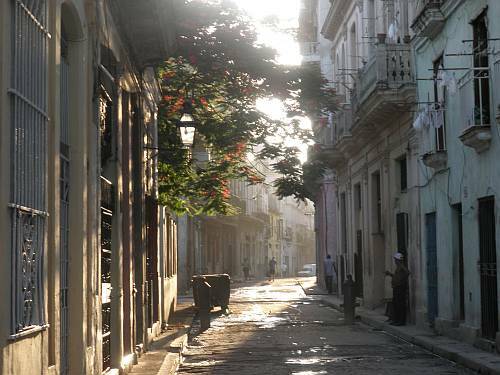 By rights, Havana should be the hub of Latin America, entrancing and captivating in her charm, passion and style as nowhere on Earth. Yet today she stands as the capital of a nation isolated and completely unknown by her neighbours just across the narrow Florida Straits to the north. And it’s undeniable, when you’re here, that the loss breaks both ways. For Cuba, with its faltering economy, restricted freedoms and limited opportunity, fifty years of isolation is hardship enough. But for the whole of America, simply not knowing the gifts that this vibrant country, this incredible city and all that her wonderful people can offer — surely that loss is every bit as impoverishing. Beyond the Museum of the Revolution, with its tank parked dramatically outside, the sweeping boulevard takes me under shady trees and alongside splendidly crumbling tenements. The legacy of revolution is many things, but commercial prosperity isn’t one of them. There’s little traffic here — just a few smoky old trucks, Polski Fiats and Ladas as well as the more classical 1950s American sedans in various states from showroom splendour to loving disrepair. 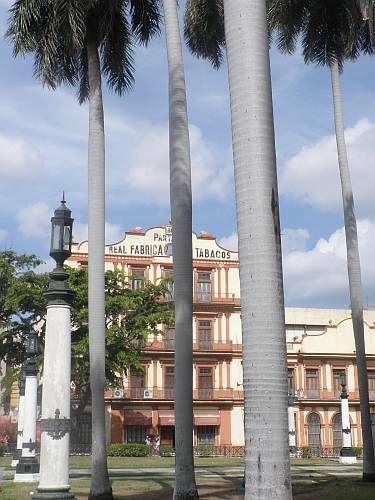 The famous Real tobacco factory falls past on my right — featuring in all the guidebooks but mysteriously shut down. Has the world’s appetite for cigars faded with healthier living or recession? 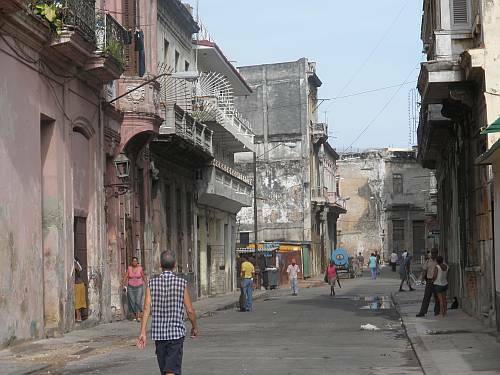 Either way it’s a blow to such limited Cuban trade as 50 years of the US embargo will allow. At the top of the street lies a huge open square with an almost perfectly contradictory reproduction of the Capitol in Washington DC. But there’s not an American in miles. At least, not any more. Until 1960, Americans flocked here on holiday, enjoying the looser living and tropical breeze. 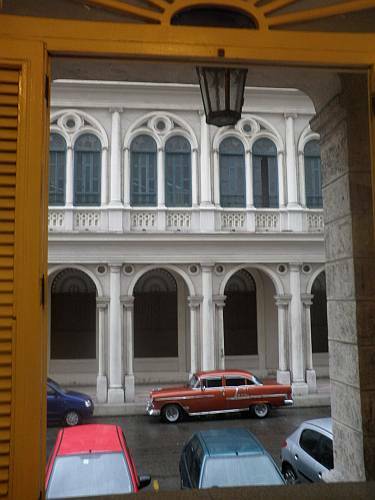 Al Capone lived in Varadero not far down the coast, and here in Havana, Ernest Hemingway holed up near the Cathedral to write. 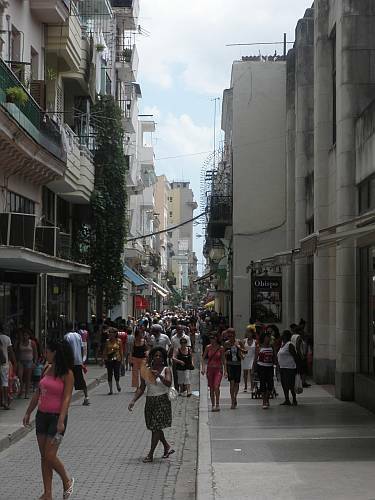 And as I run that way, down busy Obispo, the shop fronts and bars of Havana reel me progressively in. Because while a guidebook can describe the sound and feel of music and dance on every street, there’s just no substitute for experiencing it. There’s energy, excitement and a passion for living here, and with the average wage at $18 a month I can’t help wondering just what it is about European and American life that we’ve long since mislaid. 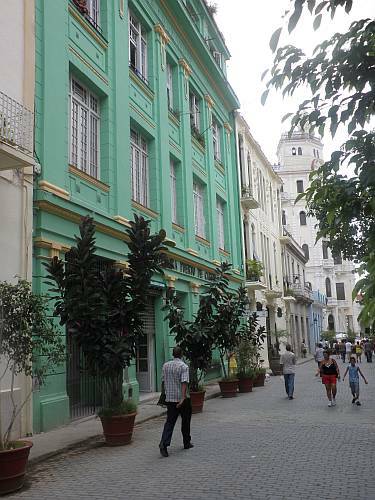 The Hotel Ambos Mundos where Hemingway stayed is still here, surrounded by tourists, but it’s further on, in narrow streets beyond the Plaza Vieja, that I can feel the modern heart of old Havana beating. These are everday streets, walked by people who are enjoying life while eking out a living. The weather is fine here, but the economic climate is grim. Yet despite the deprivations that brings, there’s so much more determination to let the best of life flow. Back near the Parque Central, the early commuters are now waiting for their ancient bus to work. I catch the eye of one, a young man wearing dirty builders’ overalls and a widening smile. He waves and calls encouragement as I run by. Maratón! 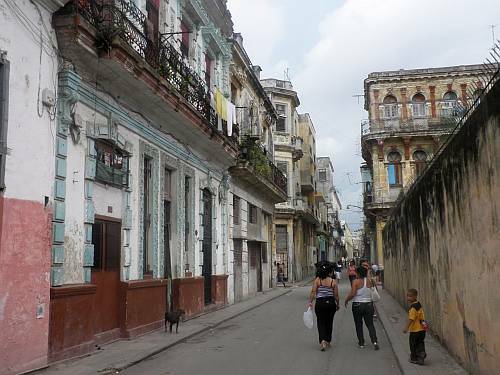 And it strikes me now that for the past fifty years Havana has required endurance on a different scale. 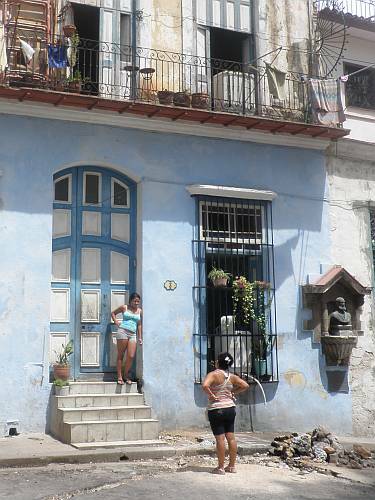 Whatever the world has thrown at Havana — its Latin spirit remains simply irrepressible. Political and commercial restrictions, cultural and economic isolation, hardship — these are all facts of life since the revolution, just as corruption and excess defined the years which came before. 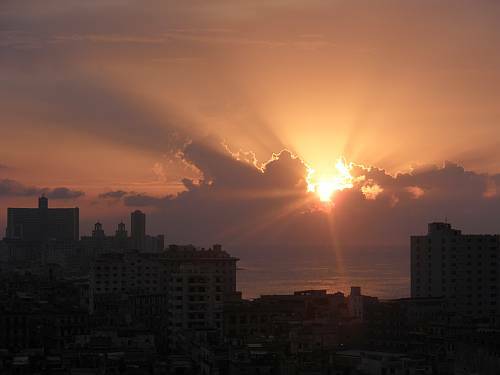 But you can’t define a country by its GDP, and that’s clearer in Havana than anywhere else I’ve seen. 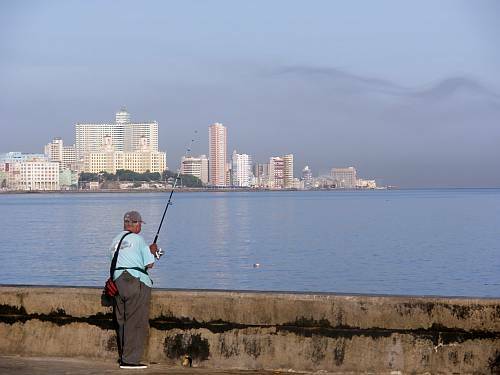 I run back down the Prado one more time to the Malecón — the great crumbling boulevard where Havana faces the sea. At the weekend, all life is here — families and lovers out for a stroll, and incessant traffic roaring by. 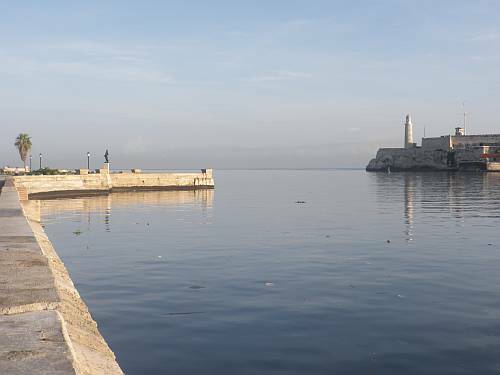 For now, though, it’s quiet, and beside the Castillo de San Salvador just a few old fishermen stand enjoying the calm before a busy weekday begins. 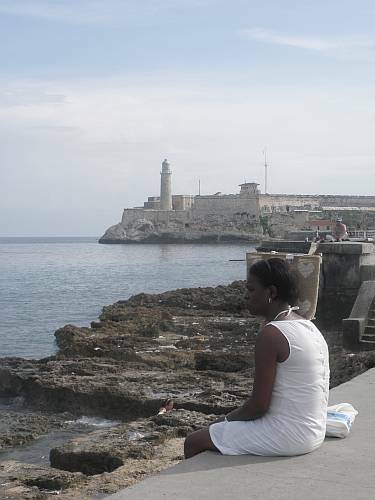 Here, looking out across the Florida Straits, I take a moment to reflect on this incredible world city that is so dramatic, awe-inspiring, authentic, vivacious — you can search for the adjectives, but the truth is that Havana defeats every one. 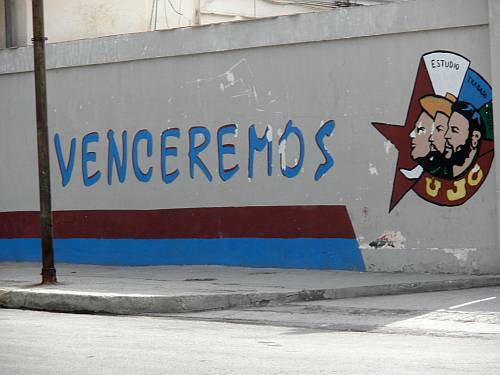 Today, Cuba stands alone. But isolation can’t last for ever, and one day soon, what gifts to the world she will bring. 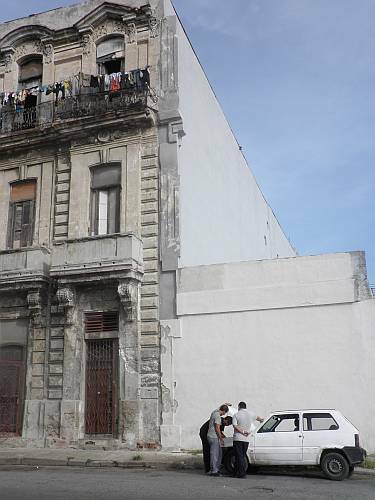 This entry was posted in 2010, Cuba, divided by an ocean, music, summer. Bookmark the permalink. Work or holiday? I haven’t visited but from the air, en route to Colombia once, it looked enticing enough with azure seas. A colleague went on holiday there with children once and found it so oppressive that the family returned to Europe immediately. I know others who’ve fallen for it in various ways, from the music of the Buena Vista Social Club to the literature. I have played a small role in helping a popular blogger there bypass censorship. I’d like to think those days may be coming to an end. Hi Wombats, and thanks for your comment. This was a holiday, with some history thrown in. 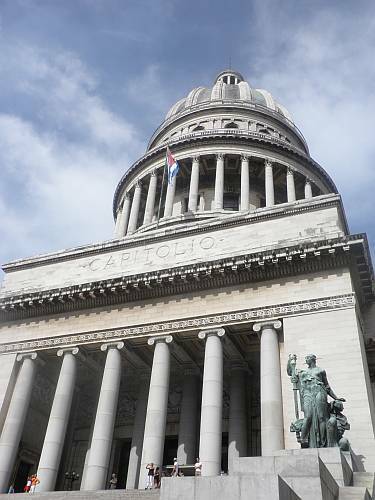 We loved Cuba, and your colleague’s view says much about expectations — since Cuba certainly isn’t Barbados. But with a sense of adventure, a little Spanish and a good map, the island is readily explorable and offers delights of a fascinating if sometimes less luxurious kind. Media restrictions are an undesirable legacy of the revolution, and it’s intriguing you’ve been able to do something to assist. There is a popular Cuba-based blog, Generation Y, listed here on the sidebar. It’s well worth a visit, not least bearing in mind the scarcity of news and opinion emanating from the island.